He was born in Torelló in 1957. He attends classes in drawing and sculpture by the sculptor Rosa Martinez Brau in the School of Arts and Crafts in Barcelona. At the same time he's graduated from the Faculty of Fine Arts Sant Jordi in Barcelona. In the 80s he makes the altarpiece of the church of Sant Martí de Sobremunt and the altarpiece of the church of Santa María de Borredà. 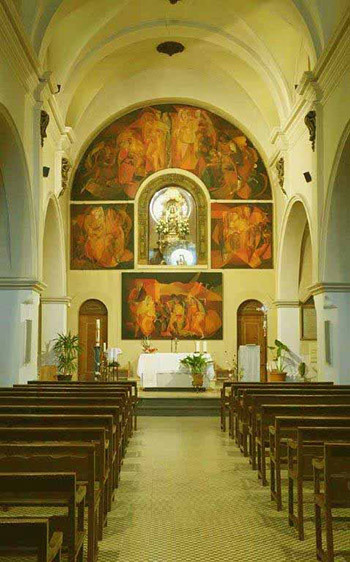 He also makes an altarpiece for the baptistery of the church of Sant Feliu de Torello. In 1985 he exposed for the first time his paintings in Sant Cugat, Vic, Terrassa, Sitges and Girona. In the 90s he exhibits his paintings in diferent galleries in Barcelona like : Lleonart Gallery, Gallery Altarriba, Trama Gallery and Sala Parés. He also exhibited in Madrid and Bilbao. In 2001 he shows his work at the stand of the Trama Gallery from Barcelona at the International Fair of Art in Madrid Arco. Since 2005 he is dedicated exclusively to sculpture. At the present time he reside in Barcelona.